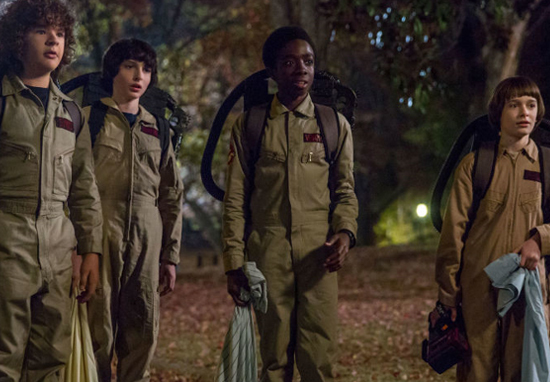 Looks like fans of Stranger Things may just have to wait a little while longer before they can return to the town of Hawkins and the Upside Down. Netflix have revealed it could be another year before the series is back on our screens. Talking to media at the Television Critics Association’s press tour in Beverly Hills, Netflix programming executive Cindy Holland confirmed the show won’t be back until summer 2019. However, she did assure critics season three will be better than season two, which left some fans disappointed after the rousing success of the first season. It’s a handcrafted show. The Duffer brothers and Shawn Levy – they understand the stakes are high. They want to deliver something bigger and better than last year. I think it’s going to be a fantastic season. It will be worth the wait. It’s a really exciting season, [it] just takes a little more time. However, to keep fans excited, Netflix has already revealed a teaser for the third series. Although it doesn’t hint at any major plot points, we do get to see Steve looking rather dapper as an ice-cream seller. The teaser also gives us a glimpse of new cast member Maya Hawke, daughter of Uma Thurman and Ethan Hawke. It’s previously been revealed Maya will play an ‘alternative girl’ who’s bored with her mundane day job. Craving more excitement in her life, Hawke’s character, Robin, apparently gets more than she bargained for as she uncovers (another) dark secret hiding away in Hawkins, Indiana. I mean, one of the things that’s annoying for fans is that it takes us a long time to do them. Like, you probably won’t get [Season 3] until sometime in 2019. But also part of the thing is, like any good thing, they need time. And those guys work so hard. I mean, they just sit in their apartment and write for 12, 14 hours a day. The show’s creators, the Duffer Brothers, have so far remained incredibly tight-lipped on exactly what we can expect from season three, although in an interview with IndieWire they hinted things would be ‘almost weirdly more intimate’ than Stranger Things 2 and ‘a lot of fun’. They also said season two saw the world of Hawkins expand (as well as the new mall that looks like it’s coming to town), while season three is set to focus on the characters themselves, rather than the setting. It’s not necessarily going to be bigger in scale. What I am really excited about is giving these characters an interesting journey to go on. Though they may be waiting longer than expected to return the Hawkins, fans will certainly be along for the ride.